A few months ago, my beloved Ruth, Elder Holland and his sweet Patty, and I accompanied a group into the fascinating old city of Jerusalem to look for the door with the name of Hyde carved on it. The enchanting smells of the open containers of spices and the sounds of men selling their wares were exhilarating. As we entered St. Saviour’s Monastery, looking for the door, we entered into old passageways surrounded by stone walls. We were told that some parts of the walls went back to the time of the Crusaders. On one wall hung an assortment of ancient rusted keys. Some of these keys were huge. All were larger than the keys we use today. Many of them were very ornate. Many of the doors the keys were made to open no longer exist, or if they do, the keys and the locks would be too rusty to open them. 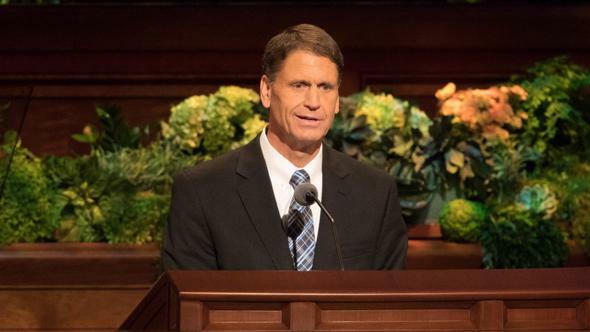 On the fifth of June 1994, the Quorum of the Twelve, of which President Hunter was then President, collectively holding all of the keys of the kingdom, convened in the Salt Lake Temple. 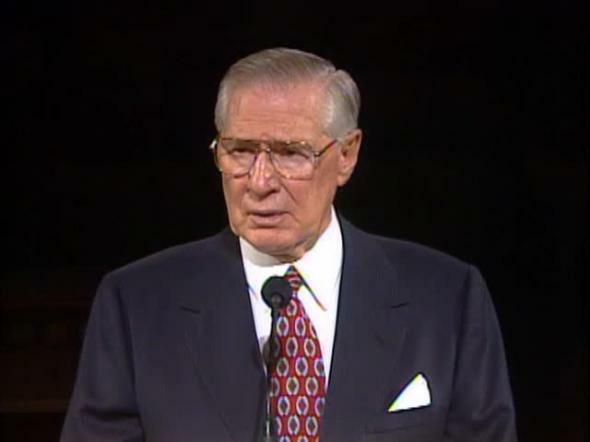 President Howard W. Hunter was then ordained and set apart by the Twelve, with President Gordon B. Hinckley as voice for the Twelve. 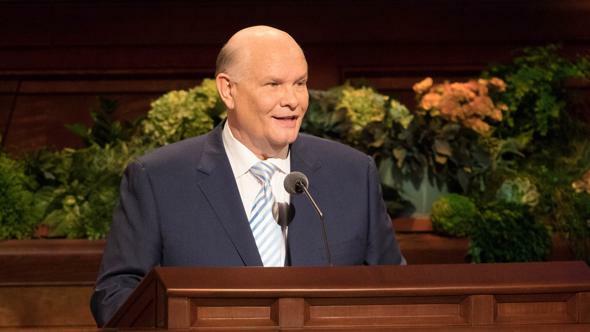 President Hunter thus became the President and legal administrator of the Church, and the only man authorized to dispense, oversee, and exercise all of the keys of the kingdom of God on earth. 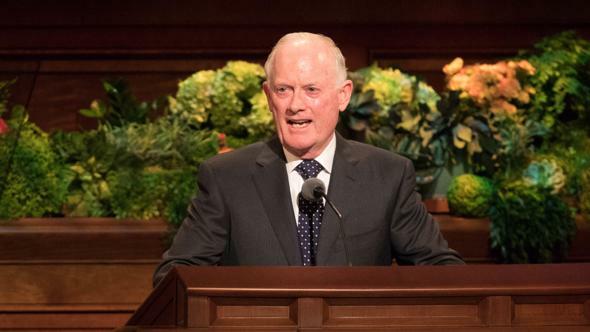 He also became the successor to the keys held by Joseph Smith, Brigham Young, John Taylor, Wilford Woodruff, Lorenzo Snow, Joseph F. Smith, Heber J. Grant, George Albert Smith, David O. McKay, Joseph Fielding Smith, Harold B. Lee, Spencer W. Kimball, and Ezra Taft Benson. The keys given by the Savior to Peter, James, and John, and given by them to the Prophet Joseph, have not rusted. They will open all spiritual doors of the dispensation of the fulness of times. 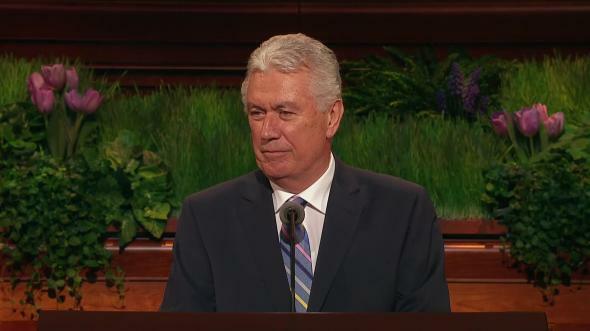 They are now exercised by President Howard W. Hunter, his Counselors in the First Presidency, and the Quorum of the Twelve, who serve under the direction of the First Presidency. 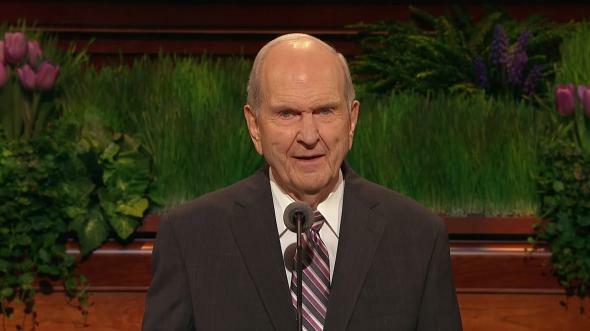 “When the Lord gave the keys of the kingdom of God, the keys of the Melchisedec Priesthood, of the apostleship, and sealed them upon the head of Joseph Smith, He sealed them upon his head to stay here upon the earth until the coming of the Son of Man. … They were with him to the day of his death. They then rested upon the head of another man. … He held those keys to the hour of his death. They then fell by turn, or in the providence of God, upon Wilford Woodruff. There is only one head of this church, and he is the Lord Jesus Christ. He is the head of all. 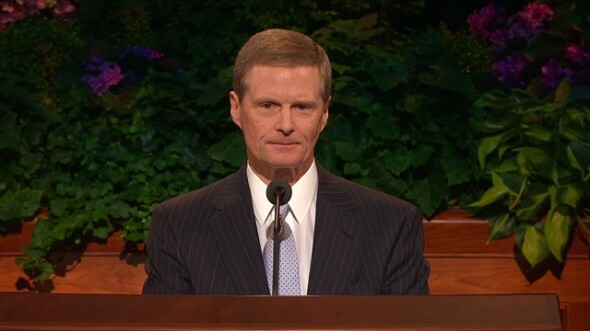 Under him stands President Howard W. Hunter, the man whom the Lord has selected to stand at the head of the Church, with his Counselors in the First Presidency and the Quorum of the Twelve. All other organizations in the Church are subordinate to those who have these keys. 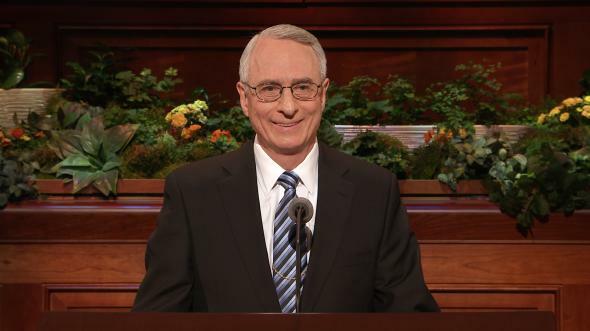 Why are these spiritual keys so important? These spiritual keys hold “the right to enjoy the blessing of communication with the heavens, and the privilege and authority to administer in the ordinances of the gospel of Jesus Christ, to preach the gospel of repentance, and of baptism by immersion for the remission of sins.”10 Keys of the ministering of angels are the right of the Aaronic Priesthood.11 The higher Melchizedek Priesthood “holdeth the key of the mysteries of the kingdom, even the key of the knowledge of God.”12 To be efficacious and valid, every act in the Church must be performed under the authority of the keys at the appropriate time and place, and in the proper manner and order. The authority and power to direct all of the labors of the kingdom of God on earth constitute the keys of the priesthood. Those who possess them have the right to preside over and direct the affairs of the Church in their jurisdiction. Why is it so necessary to follow those who have the keys of the priesthood? 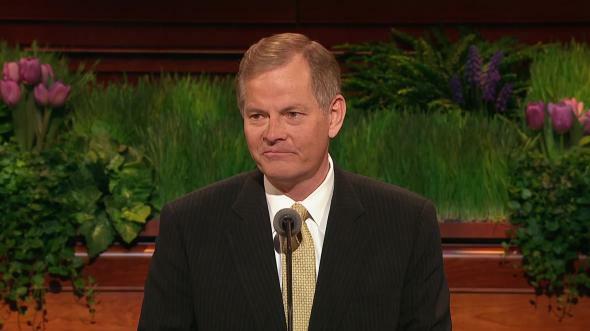 That principle has guided this church and its people since the beginning, and it is a principle of revelation. Among the members of the Church have been the living oracles of God, who have held the keys to direct this holy work. Without prophets, seers, and revelators, the Church and the kingdom of God cannot grow and prosper. This valiant band, who came to be known as Valdensians or Vaudois, were viewed by their contemporaries as dangerous dissenters. 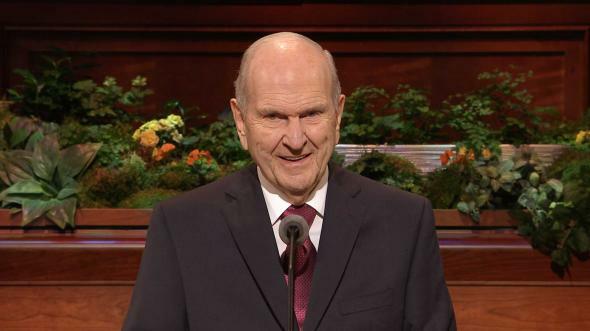 Over the centuries, they were “burned at the stake, buried alive, stoned, … hanged, herded into … disease-laden dungeons, [and] pursued … over rocks and crags and icy mountains.”14 Yet they clung on tenaciously, turning back whole armies of tyrants, to preserve their precious heritage of faith in the early Apostles, who held the keys that never rust. John Daniel Malan was the first of the Vaudois to be baptized on October 27, 1850, followed by the families of the Cardons, Stalles, Beuses, Pons, Malans, Gaudins, Chatelains, and many others. Some were in the first handcart companies to come to the Salt Lake Valley in the early 1850s. These families intermarried into other well-known families in the western United States, including the Larsons, Maughans, Crocketts, Miners, Budges, Thatchers, Steeds, and Parkinsons.17 Drawing from their roots in the Vaudois mountain sod, many of their descendants tended the vineyards of the newly restored Church and today are making singular contributions to the worldwide Church, believing, as did their forebears, that Apostles hold the keys that never rust. Great temporal and spiritual strength flows from following those who have the keys of the kingdom of God in our time. Personal strength and power result from obedience to eternal principles taught by the living legates of the Lord. May the Spirit of God rest upon us as we follow the living oracles. As we conclude this historic conference, I am pleased to testify to the world of a very significant matter. As a special witness of the Lord Jesus Christ, I verify that among those who hold the keys of the kingdom of God on earth, there is complete unity and love and respect for each other. 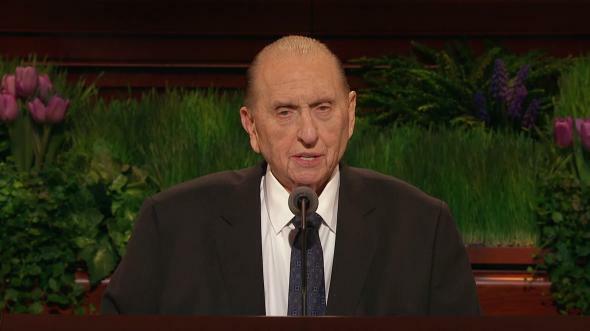 We totally sustain and uphold President Howard W. Hunter, President Gordon B. Hinckley, and President Thomas S. Monson as the First Presidency. 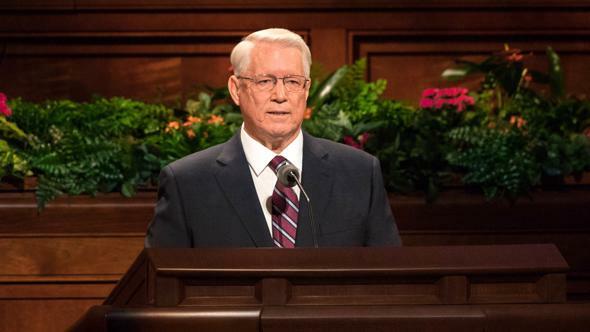 This feeling of complete unity and support for the First Presidency was expressed last Thursday in the Salt Lake Temple in a proclamation by President Boyd K. Packer on behalf of the Twelve. This was joined in by President Rex D. Pinegar, representing the Seventies, and Bishop Merrill J. Bateman for the Presiding Bishopric. 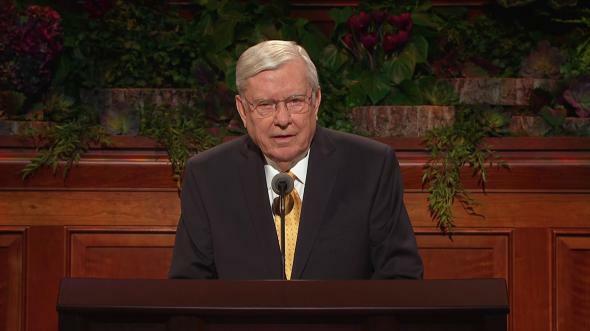 All of the General Authorities then voted to fully sustain the expressions of President Packer of full support for the First Presidency and for each other. In this unity, the gates of hell will not prevail against us. I so testify and witness in the name of Jesus Christ, amen. Quoted in Young Woman’s Journal, Dec. 1906, p. 543; see also Ensign, June 1994, p. 15. Teachings of the Prophet Joseph Smith, comp. Joseph Fielding Smith (Salt Lake City: Deseret Book Co., 1970), p. 158; see also Matt. 17:1–3. Joseph Fielding Smith, Doctrines of Salvation, comp. Bruce R. McConkie, 3 vols. (Salt Lake City: Bookcraft, 1954–56), 1:259. “The Keys of the Kingdom,” Millennial Star, 2 Sept. 1889, p. 546. History of the Church, 7:233. Millennial Star, 2 Sept. 1889, p. 547. Joseph F. Smith, Gospel Doctrine, 5th ed. (Salt Lake City: Deseret Book Co., 1939), p. 142. See D&C 13; D&C 107:20. See Giorgio Tourn, The Waldensians: The First 800 Years, trans. Camillo P. Merlino (Torino: Claudiana, 1980), pp. 3–4. Archibald F. Bennett, “The Vaudois Revisited,” Improvement Era, Jan. 1948, p. 12. Hymns, 1985, no. 35. Original text was a poem by Felicia D. Hemans, entitled “Hymn of the Vaudois Mountaineers in Times of Persecution”; adapted for Latter-day Saints by Edward L. Sloan. Archibald F. Bennett, “The Vaudois of the Alpine Valleys and Their Contribution to Utah and Latter-day Saint History,” student paper, Brigham Young University, 1960, Historical Department, The Church of Jesus Christ of Latter-day Saints, Salt Lake City, pp. 9, 16.